The Splash Awards are the awards for the best Drupal websites and contributions of the year. Medical information site Thuisarts has again been awarded during the awardnight of the Drupal Splash Awards. The Splash Awards are the awards for the best Drupal websites and contributions of the year. 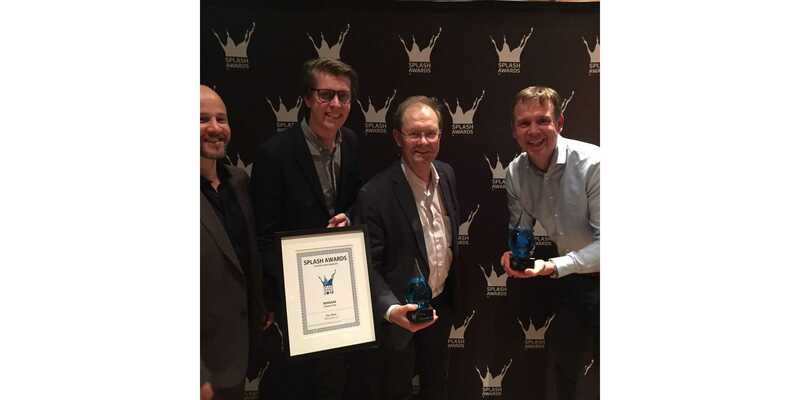 One Shoe and the Dutch General Practitioners Association (NHG) have won the award in the Healthcare category. Thuisarts.nl is the number 1 public information website of the Netherlands about sickness and health. More than 1.7 million people p/m find information about complaints and illnesses here. Via text, self-tests, pictures, illustrations and explanatory films more than 1200 clinical pictures can be consulted in different forms of content, made understandable for everyone. Thuisarts has already won several prizes and won, among other things, the Niek de Jong Innovation Award from Zorgverzekeraars Nederland and the award for the Most Popular Health Website of the Year 2016.